Individuals who have read the By-Laws of WCEC and WCEC's Emergency Operations Plan (EOP) and who agree with the Mission Statement and are interested in Public Service Emergency Communications and who wish to join WCEC should fill out an application and bring it to a regular meeting of Wood County Emergency Communications. Meetings are held at 7:00PM on the first Tuesday of each month at the Lubeck Community Center, Lubeck, WV. Applicant should arrive 30 minutes before the meeting to submit their application to the Director for review. There are no membership fees, however members are required to abide by the bylaws, develop cretin communications skills and participate in training activities and classes as dictated by the Director and Assistant Director. Applicants will need to authorize a background check for membership approval and individuals under the age of 18 will be required to present a signed Parental Authorization form. Wood County Emergency Communications inc. protects all information presented to it for membership purposes and does not share this information with anyone else for any reason other than a background investigation. Each month on the last Saturday of the month classes are held on a subject decided apon at the previous months business meeting. The subject, time and place are listed on the Home Page under Upcoming Activiteis. A Quick Training and Field Resource Guide for the Emergency Communicator is available in Adobe pdf format. This is a must read for every Amateur who expects to be deployed in the field for emergency services work. Based primarily on ARES operations, these principles can be adapted by any local group or agency. This paper contains a number of templates that can be adapted to your locality and situation. A great resource for any Communicator. Participation in Public Service events such as parade organization, marathon communications, bike tours and rowing competitions are good exercises to hone the communicators skills. Protocols embraced by WCEC volunteers include the National Incident Management System (NIMS), which provides a consistent nationwide template to enable federal, state and local governments, nongovernmental organizations, and the private sector to work together to protect against, respond to, recover from, and mitigate the effects of incidents. 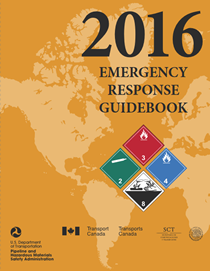 The Emergency Response Guidebook (ERG) is developed jointly by the US Department of Transportation (DOT), Transport Canada, and the Secretariat of Communications and Transportation of Mexico (SCT). The ERG is intended to be used by firefighters, police, and other emergency services personnel who may be the first to arrive at the scene of a transportation incident involving hazardous material. (2) protecting themselves and the general public during the initial response phase of the incident. The ERG is updated every four years to accommodate new products and technology. Choose your format. The pdf form can be filled out on your computer. To be a member of RACES you must be a member in good standing in WCEC. Download the Requirements document and the Application if you are interested. Applications should be presented at a regular meeting of WCEC. The pdf form can be filled out on your computer or hand written. Some of the local Training Exercises that WCEC participates in. Members keep track of their Training and Service on the WCEC Community Service Form, available in Adobe PDF format here.